Your tweets, Facebook posts and blogs can greatly affect your real world law practice. From discovery to advertising your practice, you must remain ethical in our new social media world. 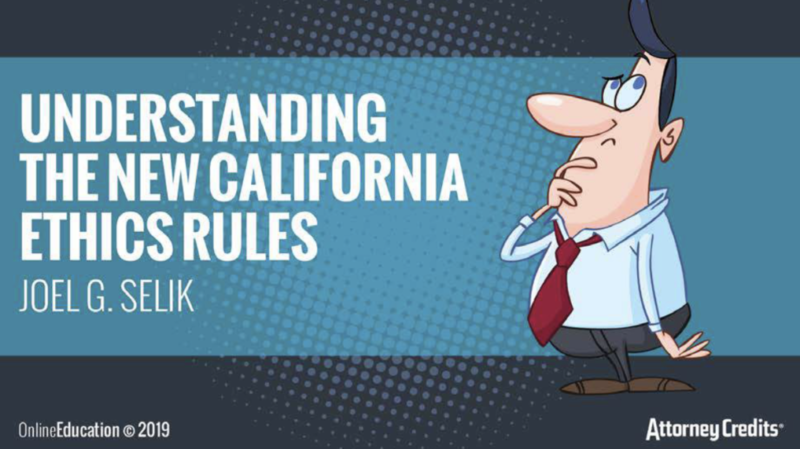 Do you know about the 69 changes or revisions made to the California ethics rules and how it will affect your practice? California has new ethics rules effective November 1, 2018. A former litigator and current ethics attorney, Ed McIntyre fills you in on what’s changed… and what’s stayed the same. Ethics, Bias & Competence Issues… Oh My! Completing your 25 hours of California MCLE… don’t forget to complete at least 4 hours of Legal Ethics, 1 hour of Competence Issues and 1 hour of Elimination of Bias.